Being a resident of New Jersey can be tough for a number of reasons. Depending on where you live in the state and what cable provider you have, you'll normally get stuck with Philadelphia or New York City based news. Either way, New Jersey is often overlooked or at best scarcely mentioned in passing. Enter Chasing New Jersey. A news show out of Trenton, New Jersey that focuses on events that actually involve our own state! The show is anything but typical and has a very casual feel to it while still remaining informative. The cast gathers around their news room and carries out open discussions on their fast paced topics. This past Wednesday I stopped by their studio to discuss my timelapse, Home At The Shore and part of what went in to creating it. It was a real pleasure meeting the cast and an honor to join them on the show. 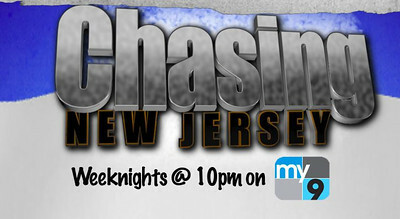 Chasing New Jersey airs at 10pm on week nights on My9 NJ or Fox29 Philadelphia. If you caught the interview, but didn't see the full timelapse you can check it out right here!